I'm smiling because it's spring (even though the temps don't yet reflect that!) 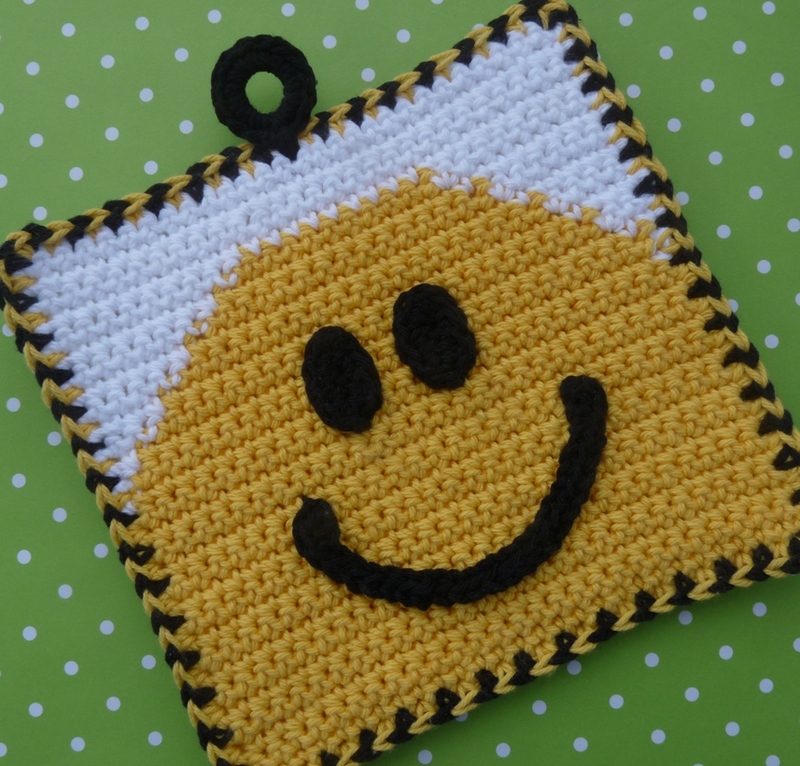 and so this is a just for fun potholder. Click "download now" link below picture to get pattern. this is realy cute, and what an awsome way to make the edge!!! Yeah, what's up with that? April is only a day away and I'm still wearing gloves? Hopefully little smiley indicates a change for the weekend -- he's a cutie! Oh my gosh, that is so cute!!! I love those yellow smiley faces!!! Thank you to share the oattern. I'll crochet it, I'm sure!!! I've wandered in here after finding you on Etsy. Thank you for sharing your patterns and cats.